Never let a day go by without meditating on the Passion of Christ. Prayer must be persistent. Persistence denotes faith. Answer me this question? Who IS the Pope, not merely in rank but in BEING? 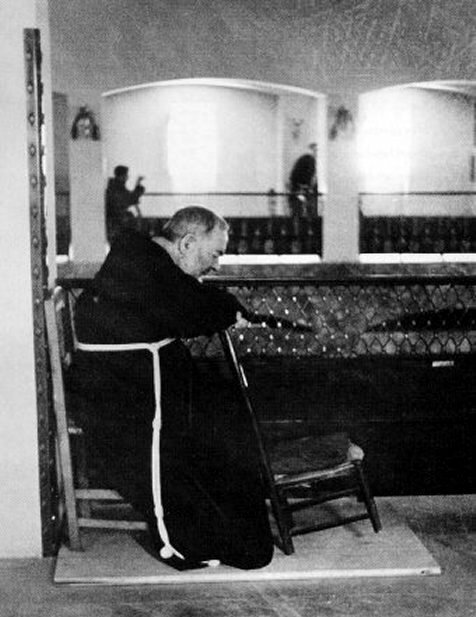 should not bow to anyone, even though many popes, if not all, since John XXIII have. This present pope is just continuing the dialogue with the world. He may not understand who he IS, not only what he represents. No one else in the world has these titles. No one else in the world is the Vicar of Christ. No one else in the world can make infallible statements in the Name of Peter, from the Chair of Peter. The Pope's position has been purposefully undermined for fifty years. Because of some interesting arguments in the blogosphere of late, I have been thinking, and did a bit of commenting, on what I call "institution think". Now institution think becomes a mode of approaching problems, techniques, strategies and even socializing in established institutions. 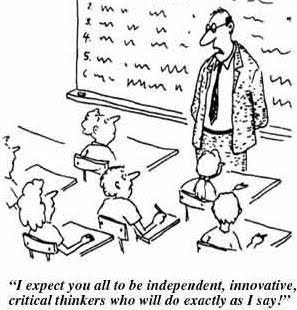 Anything which is an institution breeds mostly people who think in terms of institutional thinking. The main reason that institution think exists is for one reason alone: for the continuation of the institution. I repeat that: The main reason that institution think exists is for one reason alone: for the continuation of the institution. I got a plummy job one time a long time ago in an academic institution, Early on, one of the faculty members took me aside and said this to me, "You will be fine as long as you remember one thing. The life of the institution is the most important thing in the minds of all here. If anything or anyone disturbs or threatens the life of the institution, that person is expendable." I lasted 18 months and it was a seminary where homosexuals were still being accepted. It was an institution which hated and still hates the TLM. It is not in Europe. I have been cautioned as well as been encouraged to think in terms of institution think, but have never been able to do it. A person with a fierce sense of what it is to be an individual, to have a core of being which is independent of manipulation, that person cannot and does not fall into institution think. I know many who have. They have lost their souls to their institutions. Some have lost their souls to the devil because of institution think. These institutions are prone to institution think: large high schools, colleges, universities, chancery offices, seminaries, governmental offices at all levels, the military, organized crime, gangs, political parties. Some huge families adopt institution think-the only important thing is the continuation of the line and property. Unless one can find a place in these institutions where one is either protected, or where one can avoid evil, a person who cannot think in institution think is better off being self-employed, or, and this is a blessing, finding an institution where the mode of being is agreeable and livable, where one finds like-minded people. Good luck. This thinking is not the same as loyalty based on mutual respect and honesty. I remind Catholics that the prophets of old where not part of the institution, not part of the Sanhedrin or court. Even then, they were killed by those who thought in institution think. Being outside the institution does not protect one, especially in a world which is being taken over by global institution think. A lovely TLM family just saw the arrival of the fourth child, a little girl, joining her three brothers. But, prayers are needed. Both the baby and mother were seriously ill. The baby is doing well, but the mother is still very ill. Please pray for this young couple and their lovely family and especially for the mother. Let us pray to St. Juliana Falconieri for this woman. O faithful Spouse of Jesus Christ and most humble Servant of the Sorrowful Virgin, glorious S. Juliana, when nearing the term of a life all spent in the practice of the most heroic virtues, you felt but the one grief of being prevented by sickness from receiving in viaticum your Beloved; but this grief proved to be so pleasing to your heavenly Spouse Jesus that He deigned Himself to reward it by an extraordinary prodigy, when, behold, at your supplications, the Divine Sacrament having been placed on your virginal breast, it instantly penetrated the same, leaving the image of the Crucified visibly impressed thereon, whilst your soul, with a sweet smile, expired in His sacred embrace. O great Saint, and my special Patroness, obtain for us from God, we pray, the grace to live a holy life like to yours, that we may die a like holy death; and in particular that, prepared for this last voyage, provided with the Holy Sacrament, and strengthened with God's grace, I may deserve a holy demise and escape eternal death. 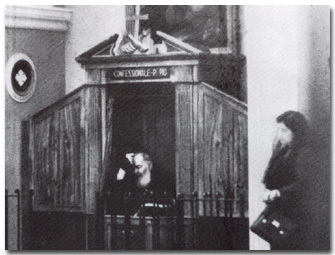 St. Pio of Pietrelcina told people to go to confession every eight days. This is hard for most people today, which is why it is so much harder to get through the Dark Night. When we have less and less priests, it will be harder to pursue holiness, so do it now, please. Why so often? 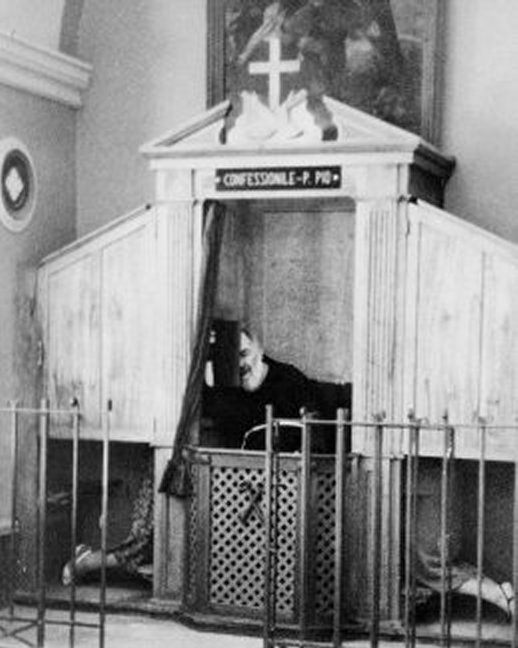 As purgation is occurring one sees the layers of imperfections and habits of sin more clearly, and if one can get to confession, the grace of the sacrament encourages the process. I cannot emphasize weekly confession enough. 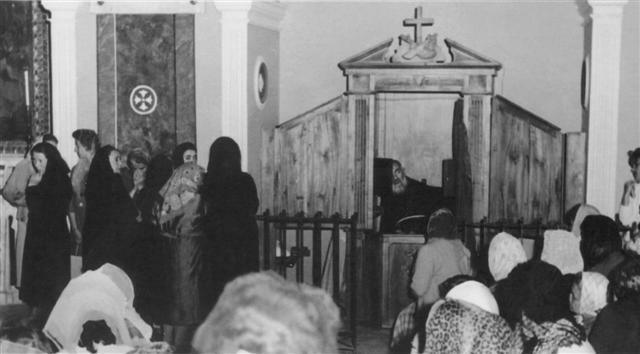 Even as a child, monthly or bi-weekly was considered satisfactory, but in the Dark Night, confession is needed to keep the reality of one's sin and salvation at hand. It is too easy to become discouraged when faced with one's pathetic state of imperfection, but real humility means confessing those things which the Holy Spirit is revealing day after day. St. John of the Cross compares this light in the darkness to light streaming through a dusty window. When it is grey outside, one does not notice the little motes or specks of dust. But, when the light is shining brightly, one sees all the little bits. One cannot fall into impatience with one's self, as that is spiritual pride, a deeper sin, and more serious, but common in the Dark Night. 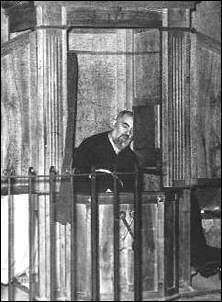 Padre Pio said something which is applicable to the Dark Night. He said this: "Temptation is like the soap. It seems to soil but in reality cleans." When one first hears this, it does not make sense. But the great temptations of the Dark Night, spiritual pride and sexual sins, reveal the deep of imperfection in the soul, mind, heart, senses. The temptations are blessings, the soap, which cleans the heart, mind, soul, as one sees more clearly one's weaknesses and lack of humility. Humility is self-knowledge and the knowledge that one can fall at any time into sin is a great blessing-the soap cleaning out pride. When the appetites are cleaned, then God will reveal Himself to the pure soul, pure mind, pure heart. This passage makes so much more sense in the Dark Night than before this experience. One begins to see that the kingdom of heaven is made up of the Presence of God and the freeing of all the virtues, gifts and fruits which God has given. Can you imagine the power unleashed in the world through the people of the Catholic Church is all reached this state of perfection-the Illuminative? The truth is that few people cooperate with suffering to get to that state. The Dark Night brings infused contemplation, or mystical theology, which is a great inflow of God into the soul according to St. John of the Cross. This inflow has been given in baptism and confirmation and the sacraments of confession and the Eucharist, but the great movement of grace has been barred by venial sin and imperfections. St. John writes about habitual ignorances and imperfections. These must go, as only the perfect see God. Natural and spiritual imperfections stop the entrance of God in us. He waits at the door, as it were, until we are purified, for that union of love. However, one good thing which happens is that one's desire to serve God only in all things becomes stronger and stronger in this Dark Night. One yearns for Him more. 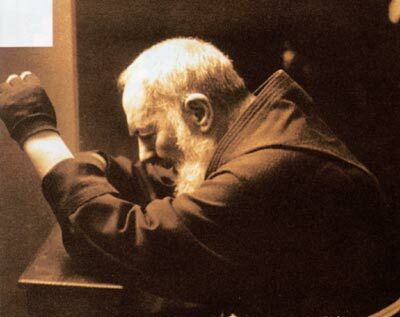 This yearning leads one to more frequent confession and more frequent Communion. Daily Mass, if possible, helps greatly at this time, NOT because one is feeling consolations, but because one wants to be with and in God. My prayer in 2011 was that God would take my little shriveled heart and give me His Heart. My prayers in 2013 have been God take me completely into Yourself and make me into love, and my second prayer has been God, show me my sins and imperfections, all things that keep me from you so the first two things can happen. One's prayers actually become simpler, more basic in the Dark Night because one only has one desire, eventually, when all other desires are destroyed. That is to see and be loved by the Bridegroom. Now, here is an important point of St. John's which I know to be true. One does not experience the freedom, the liberty of seeing in one's life the twelve fruits of the Holy Spirit until one has been purged of all sensory appetites and sensory affections. Here is a list of those fruits to remind us all what these are: love, joy, peace, modesty, patience, kindness, goodness, generosity, gentleness, faithfulness. self-control and chastity. St. John means that, again, like a clogged pipe, our hearts, minds, souls do not have the ability to release these fruits. We may have thought we were experiencing these, but if we did before purgation, these were tainted by self-aggrandizement and pride. The real liberty comes with purity. Then, these fruits are grounded in God's love, in our love for Him and His love for us, instead of self-love. Real humility in the Dark Night comes when one realizes that one has never really been good, or peaceful, or patient, or kind or gentle or so on. These fruits come with one's cooperating with purification. Now, the gifts of the Holy Spirit, received in confirmation, help one get to and through the purgation-remember that these are wisdom, understanding, prudence, courage, knowledge, reverence and fear of the Lord, In the Dark Night, these gifts are enhanced in the infused contemplation. One can and must still practice the moral and cardinal virtues at this time, but these, also, are not perfectly experienced in the soul until the Illumination State, when all these virtues, gifts and fruits come into being in real power. Let us all pray for this journey. I have decided to stop the Dark Night discussion at Part 50, as I do not want to talk about something beyond my experience. In this spiritual journey, it is absolutely essential not to confuse the study with the experience. I can described the Illuminative and Unitive States, and have done so in the past. But, after the Dark Night series, I shall take yet another break from the process to holiness. Remember, only the perfect see God and we can ask for our Purgatory on earth, which is what this is all about. St. John helps us all understand the process. One must go through this if one is an adult who has habits of sin, although, of course, God can do it all in a day, an hour a minute, or in fifty years. I want to go over a few random points in this post. First of all, St. Teresa states one can still venially sin at this state, but some theologians say nay. I think that imperfections can occur, but that venial sins become more and more rare, as habits of sin are broken. Temptations come until one breaths one's last breath, and the purpose of the Dark Night is to purge one of sins and and the imperfections. Most commonly, one has to get rid of the thinking sins; those sins which one does not act upon, but which well up from the shrunken hearts to remind us of our impurity. The two greatest temptations in the dark night might surprise one and I have mentioned these before. St. John states these temptations and he is right. These are the temptations to spiritual pride and sexual sins. Amazing-the reality of one's humanity stares one in the face in the Dark Night. All sensual sins have root in the spirit, a point St. John makes clearly. But, there are more subtle sins which the Dark Night reveals. For example, one many never act on being critical, but find that one has a habit of critical thoughts towards others. This is a sin and shows a habitual imperfection. The same could be of envy, where one would never give in to random thoughts of wishing one had someone's job, status or money, or even love, but one has to let God's light into those dark areas to purge one of even thinking those thoughts. Automatic responses are killed in the Dark Night. One must confess everything which comes up, and this means finding a holy priest who understands the way of perfection. Second point today, the Dark Night is an odd time of both hard work and complete passivity. This ebb and flow of cooperating with grace and being passive is totally in God's Hands and in His timing. St. John writes that in the Dark Night, God "leaves the intellect in darkness; the will in aridity; the memory in emptiness; and the affections in supreme affliction, bitterness, and anguish, by depriving the soul of the feeling and satisfaction it previously obtained form spiritual blessings." This is suffering. How does this look? 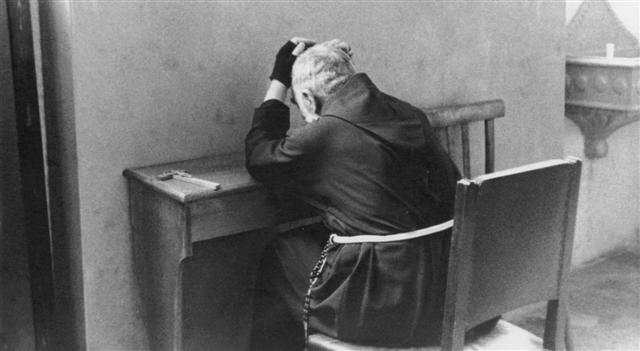 One is not loved, or rarely; one does not understand what is happening, nor can one use memory for solace or example; one has no comfort from men or God and is frequently misunderstood; one does not even experience the comforts or solace, for example, at Adoration, one did in the past. For me, the one word which describes this time is nada, nothing. One no longer expects specific things or people or events, but rests in the knowledge that God is in control. This mode of being demands faith. Third and last point today--a real sigh of this state is the quiet joy in suffering and a grateful spirit, springing up from new humility. One waits for God to love, and if one does not feel or see this, so what? God is the hidden God, loving anyway. The Dark Night is the great time for faith, living without seeing; hope, in the promise of a deeper love; and love, which is totally in the will. 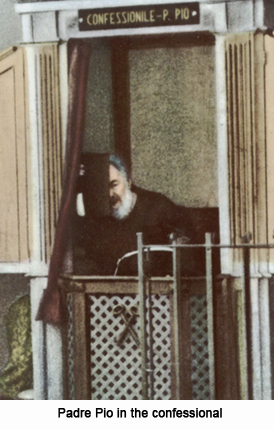 said by Saint Pio of Pietrelcina, here. Directress: When the priest puts on the amice he kisses the cross on it and touches his head with it. Besides the priest's garments,what other things must we get ready? (Forest of hands again). Margaret? Margaret: The chalice and the other things for the altar. Directress: If the person who is getting the things ready is not a Priest, what must he remember to do when touching the chalice? Margaret: He must not touch it with his hands, but must use a piece of silk cloth. Joan: Because during the Mass the chalice contains Our Lord's blood. Margaret: It is the purificator. Directress: What is that used for? Margaret: To wipe the chalice. Directress: Now the next thing. (Margaret takes up the paten in her fingers.) What has she done wrong? Several: She should not have touched it with her hand but with a piece of silk. Directress: What is the paten for? Directress: What is in the burse? The class then discusses the altar and the altar stone, connected to the relics from the Catacombs of Rome, which are needed in every altar and remind us of the Masses first said on the tombstones of the martyrs in Rome. The children set up the candles, which the teacher says reminds them of the small lights in the catacombs, which were dark, and that even in 1923, were used to light the way for people into the catacombs which were open. The Directress then asked the children what else went on the altar and they said three altar cloths, the Missal stand and Missal. They also discussed the credence table, the cruets with wine and water, the little towel and basin, the bells the biretta and then they all together were going to go through the actions of the Mass together when the bell rang. Now the items used were smaller versions of the real ones, or ones, which were not used for Mass, but purchased for the school for teaching. This is an important distinction. I chose this section for two reasons. One, the absolute correct words for items must be used. And, two, children are capable of great reverence regarding altar ware and vestments. In the earliest days of Montessori, many orders picked up her methods of teaching the Mass and the sacraments, as well as other subjects. These orders included houses, convents, schools and colleges of the Notre Dame de Namurs, the Fransican Missionaries of Mary, the Sisters of Mercy, the Ursulines, the Dominicans, the Benedictines, and others. Here is a transcript of a class of school children of the average age of eight in 1923. Part One. This was transcribed exactly in a school in Dowanhill, Glasgow and not based on a special presentation, but on a typical day in this school. The children had handed the miniature vestments and altar ware on the children's altar. There answers are spontaneous and learned in the manners I have described so far and by watching. Directress: This morning the priest is wearing white vestments, because it is the Octave of the Epiphany. What do we mean by the Octave of the Epiphany? Mary: It means the eighth day after. Directress: On what other days does the priest wear white? Kathleen: On the Feasts of Our Lord and Our Lady. Joyce: Of the saints who are not martyrs. Directress: Yes, also on the Feast of the Holy Angels. (The Directress chooses a white chasuble from amongst the others and holds it up). Now who can tell me what the colour white signifies? Cicely: It is to show purity and innocence. Directress: Whilst we are talking of colours, who can tell me on what days the priest wears a red vestment? Cicely: On the FeastS of the Holy Martyrs. Directress: Any others? (Pause). Also on the Feast of Pentecost. What other colours does the priest wear? Directress: When does the priest wear purple? Directress: At any other time? Directress: Are those all the liturgical colours used? Several: No, Miss X, also green and black. Directress: When is black used? Margaret: At Masses for the dead. 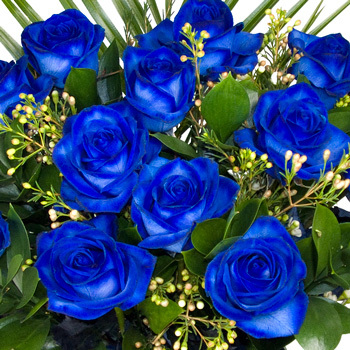 Directress: Very good, and when is green used? Joan: On all the other days which are not special days. Directress: Who can tell me which vestments are changed according to the different Feasts and times of the liturgical year? Joyce: The chasuble, the stole, and the maniple. Mary: Also the thing-I do not know what it is called-which is put under the Missal. Directress: That is the Missal cloth; and we must not forget the tabernacle veil, the chalice veil, and the burse. Now who would like to lay out the vestments which the priest uses for Mass? (All hands do up eagerly). Well, Joan, you may try. (Joan takes up the chasuble). Directress: What is the name of the vestment which you have in your hands? Joan: This is the chasuble. Directress: Of what does the chasuble remind us? Mary: It is to remind us of the Cross which Our Lord carried on His shoulders. Directress: The next one, Joan. (She picks up the alb). Joan: This is the alb. Directress: What does it represent? Margaret: It is to remind us of the robe which Herod put on Our Lord, when they mocked Him. Directress: Now, the other things. (Joan picks up the amice, girdle, stole and maniple, and their significance is explained). Will somebody arrange them in their right order as the priest will want them when he puts them on. (This is done). As the priest puts on the garments, he says a special prayer with each. Do you see that little cross on the amice? What is that to remind us of? Mary: That the Mass is the same Sacrifice as that of the Cross. To be continued......from The Appendix in The Child in the Church London: Sands and Co.: 1929 by Maria Montessori. As I have referred to chores, I shall not go over the necessity for character building in doing chores, including helping keep the home school area tidy. Children should not be allowed to home school in pjs. or play cloths. I had my son change into school appropriate cloths, and this was a help in discipline. The fact that the child takes and places things on the shelves, cleans up after art or other activities, says prayer before and after class time and so on created the environment of peace needed in the home school. I shall follow this order for virtue and character building, as well as the specific subjects. This is why there will be more posts. My comments at the end of the sections are in bold. The absorbent mind: the mind soaks up information like a sponge. Sensory learning and experiences: the child uses all five senses - touch, taste, smell, sight, and hearing - to understand and absorb information about his or her environment. Language explosion: a child builds his or her future foundation for language. Development and coordination of fine and large muscle skills, advanced developing grasp and release skill spawns an interest in any small object. Very mobile with greater coordination and refinement of movement, increased interest in language and communication (they enjoy telling stories), aware of spatial relationships, matching, sequence and order of objects. Sequencing starts at age 2 as well as ordering of objects in my experience with children. Works well incorporating all five senses for learning and adapting to environment. Interest in and admiration of the adult world: they want to copy and mimic adults, such as parents and teachers. This is a good age to start chores, at 3, like dusting and sweeping, dishes and such. Reading and math readiness, and, eventually, reading and math skills. This can happen a year earlier at three; I find this chart later than experience as most children have the math and reading explosion starting at age three. Montessori, Maria (1949). The Absorbent Mind. Madras: Kalakshetra Press. p. 100. ISBN 978-0-8050-4156-9. Montessori, Maria (1963). The Secret Of Childhood. New York: Ballantine Books. p. 38. ISBN 978-0-345-30583-1. This series is not merely for that type of environment as these guidelines are for all types of methodologies. The virtues may be taught through any method, but I, of course, prefer the Montessori. In the next posts, I shall try and get through all the major virtues showing practical applications of how a parent can encourage and nourish each virtue. I must state again, that I am not writing about special needs children, although I know that the Montessori Method works well for such children. And, I remind people that this approach takes not only time and planning, but a spiritual journey for the parents as well. Make sure that both parents chose the spirituality of the curriculum, as I presented in previous posts. Chose one and stick with it. One must be consistent in approach. In fact, I grew as much spirituality as my child did in character building and virtue training. One relies on the inspiration of God daily, for God gives parents insights into their characters and their vocations. Montessori writes about being "well-balanced" and that one attains an "equilibrium" through obedience and through the intellect. Such equilibrium brings peace and strength. In this day and age of coming persecution, we need to raise strong children. Even today, I was speaking with a seminarian, who told me that the sems talk about the possible destruction of local and centralized institutional Church in their country. The country is not Nigeria or Egypt or Lebanon, but Great Britain. The need for spiritual strength to be fostered in young people is now. Years ago, in 2001, when it became clear to me that we would see great catastrophes in our lives in the West, when I was in the Canada, I was aware that the generation of Millennials would be a generation of either martyrs or persecutors. Then, I knew that the home schooling course was the only viable option for creating a generation of saints. Ten years later, this is even more obvious. I started home schooling in 1991 because I saw the rot in the Catholic schools; by 2001, I saw the rot in the entire culture, conspiring against the spiritual health of all children. The child must become his own master, over his body, his mind, his heart, his soul. And, as Maria Montessori wrote, "A prepared environment, a life of peace, the required concentration for meditation and contemplation, mastery over the body, silence and the same exercises repeated from day to day.....produces the greatest heroes, namely the saints, those who were ready for every strife, struggles against every temptation, endurance, martyrdom..." She was making the comparison between the monasteries and her schools. She continued, "Such heroes are not formed by heated speeches, nor by sounding the trumpet of war; on the contrary they have traversed the noiseless road of formation." She went on to write that the child's inner life, given by God, will form the child and that concentration is the centre of development, not the monastic rule. But, an order it does demand. I add that this intellectual and physical development nurtures the life of the virtues. There are seven liberal arts and seven virtues. The fact that pre-school should include language skills, including grammar, maths, science, logic, music, and nature studies, such as looking at the stars, means that one can apply this virtue training not only through the practical life, cutting, pouring, cleaning, folding, sewing, buttoning, but through the classical subjects. Again, look at the graph above for the ages.